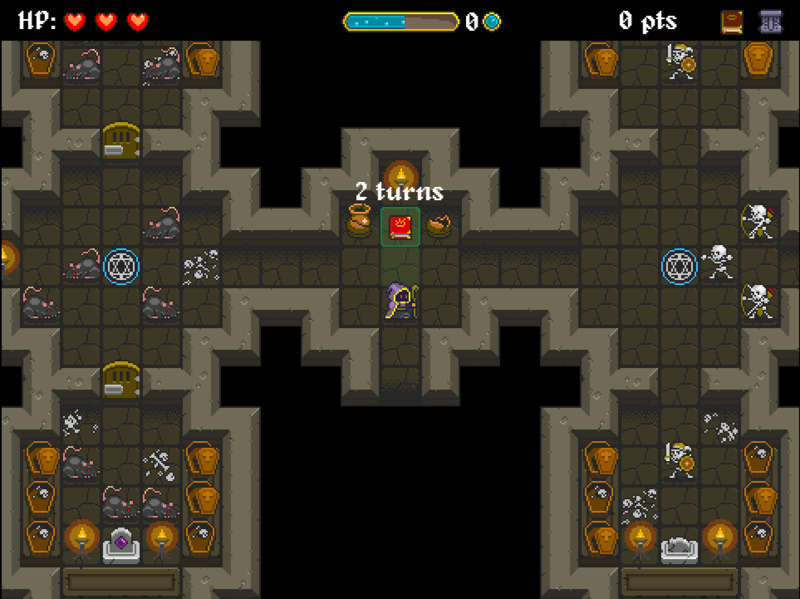 The Wizard is a quirky, turn-based dungeon puzzler with an unique spell casting system, lovely 16bit-look and high-quality soundtrack. You play as the exceptionally handsome but uneducated wizard Kevin, whose good looks have just been stolen. 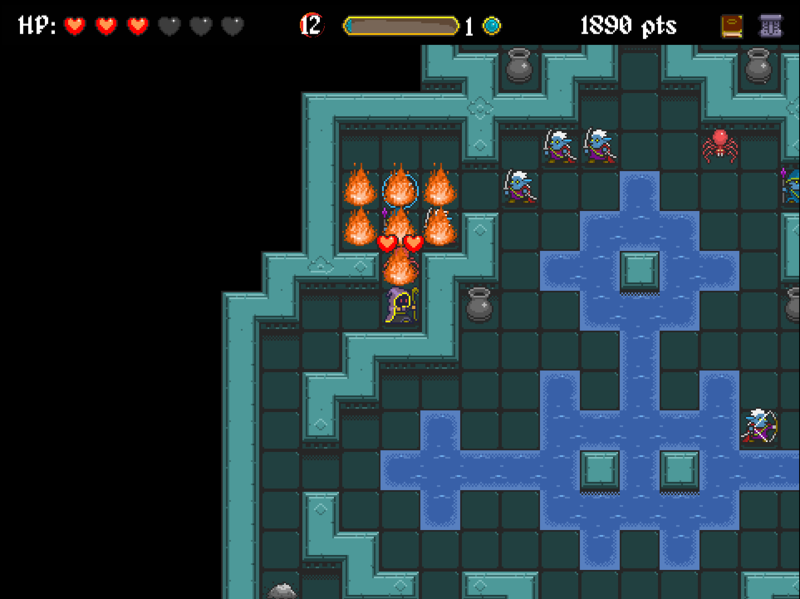 The pursuit of the mysterious thief leads you down to the dangerous dungeons underneath the wizard academy. There you'll encounter mythical monsters, discover powerful spell gestures and improve your newfound abilities with the experience you gain to catch the thief and reclaim your beautiful face. 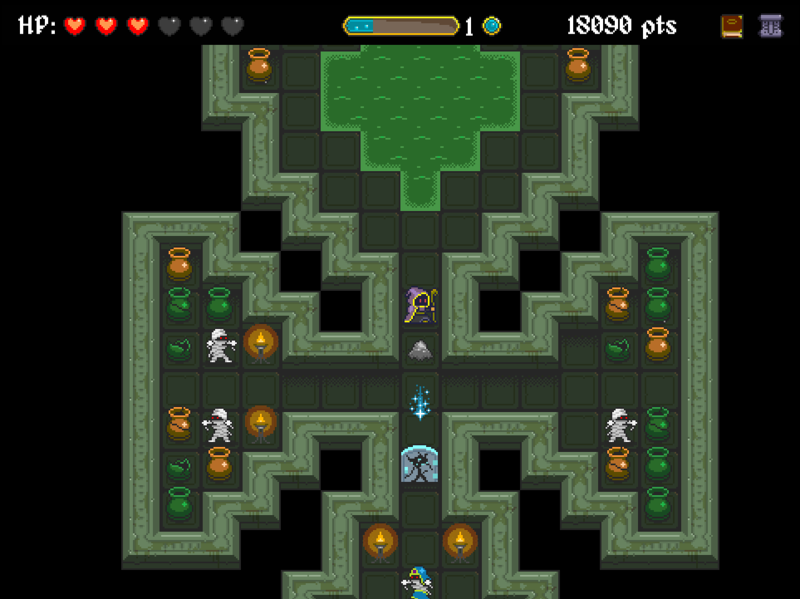 At its core, The Wizard is a dungeon crawler with a heavy emphasis on finding the optimal strategy to advance. 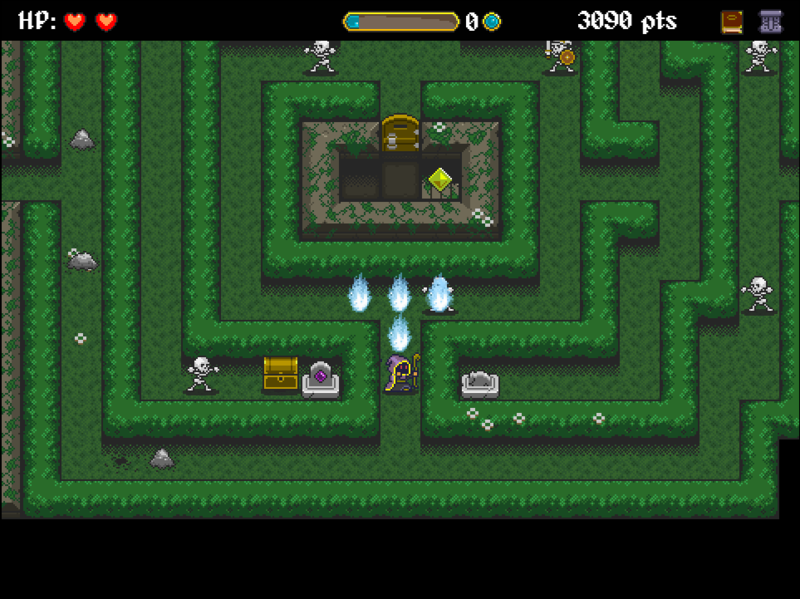 Each level and enemy type presents the player with a different challenge that can be overcome in various ways. 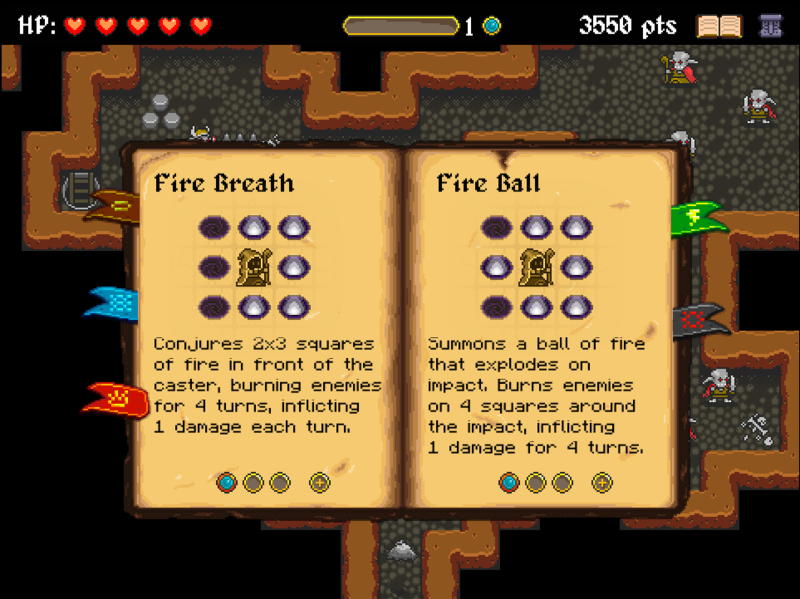 To beat the game, the player will have to plan ahead and use the different spells wisely. With the experience gained by defeating enemies, the player can improve individual spells to shape the gameplay experience. 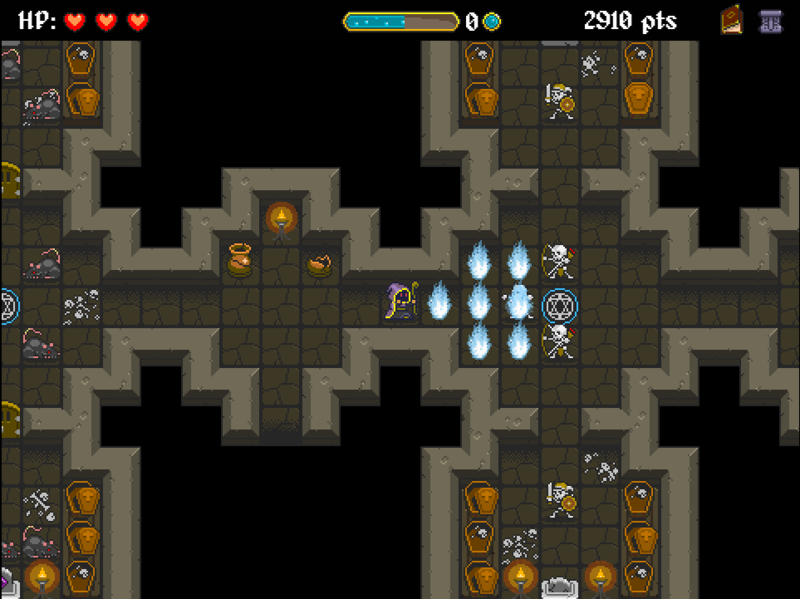 Additionally hidden spells with particularly powerful effects can be discovered throughout the game. The game was developed in HTML5 and runs on PC (Linux, Windows, iOS), tablets and mobile devices using an up-to-date browser. Upon release, the game will be playable for free on the Hypnotic Owl website. The Wizard started out as a small experiment with the Phaser framework. It featured the faceless wizard and a single level inhabited by rats. 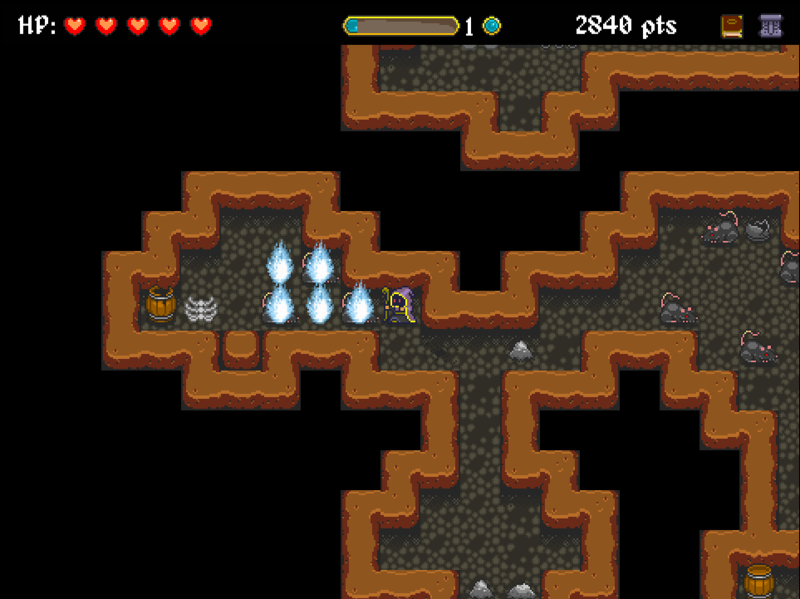 When the first spells were added to the game, the developers were dissatisfied with simply placing icons for them on the HUD. Instead they implemented a basic gesture system. Though it was primitive, it turned out to be a fun alternative to common icon bars. Around this time they heard of the Tizen App Challenge. Despite having only a month until the deadline, they decided to develop a complete game from the prototype and partake in the competition. 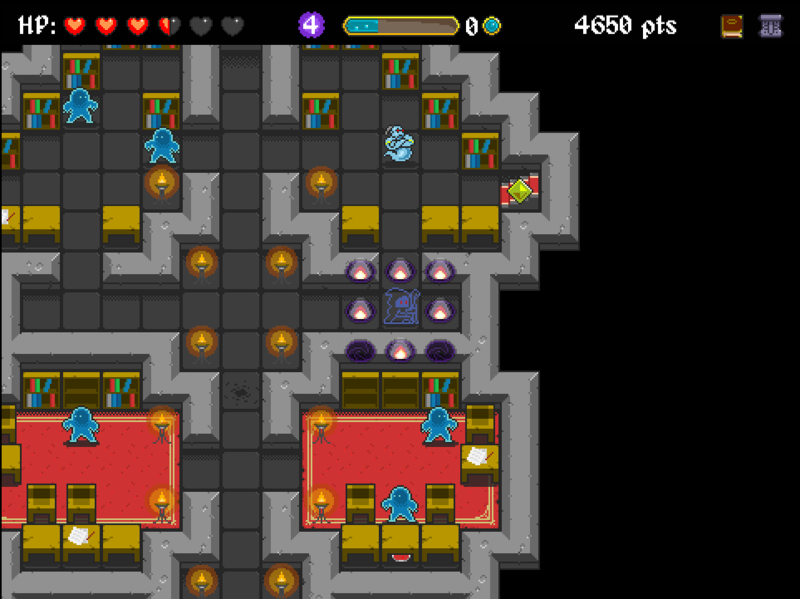 At the end, however, porting issues prevented the game from entering. This prompted the developers to aim for a release on browser game portals instead. "[A] freeware browser game that feels like a full-blown, commercial indie production." "A lot of games have tried gesture-based magic spells in the past, but The Wizard takes a potentially fiddly system and makes it easy to use"
"The Wizard looks like it’s going to be a lot of fun." "The trailer is hilarious and worth watching for its own sake, but the game itself is good, too." First part of the Post Mortem covering the conception of The Wizard https:. Second part of the Post Mortem covering the design of the walking system https:. Third part of the Post Mortem covering the design of the spellcasting system https:. Fourth part of the Post Mortem covering the level design and story https:.